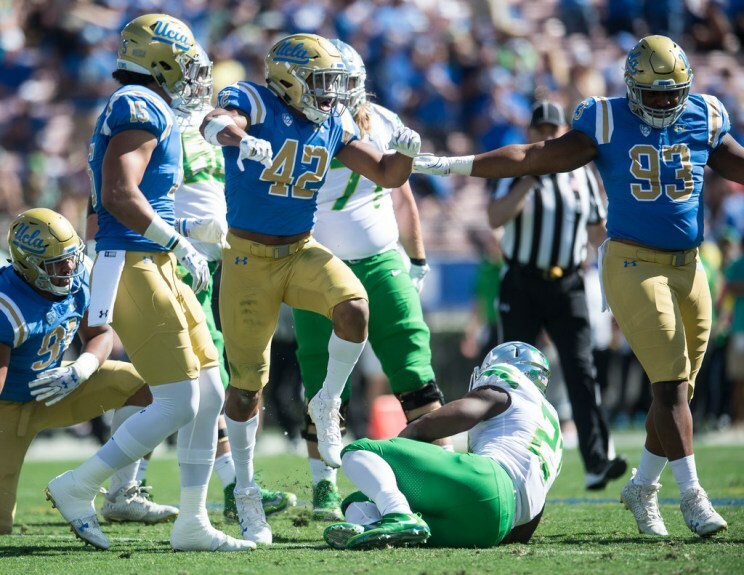 Senior defensive lineman Jacob Tuioti-Mariner talks about what changed for UCLA in the second half against Kansas State, his UCLA career and his hopes for the program going forward. Safety Jaleel Wadood and defensive end Jacob Tuioti-Mariner talks about the defensive effort against UCLA and trying to rally the team to get a bowl game next week. Defensive lineman Jacob Tuitoti-Mariner talks about trying to keep an injury-riddled defense together, what it’s like playing without fellow senior Matt Dickerson and UCLA’s bowl hopes. Defensive lineman Jacob Tuioti-Mariner talks about rewatching the Utah tape from last year, his precautionary trip to the hospital during the Oregon game and trying to stay positive on defense despite giving up more than 300 rushing yards a game.